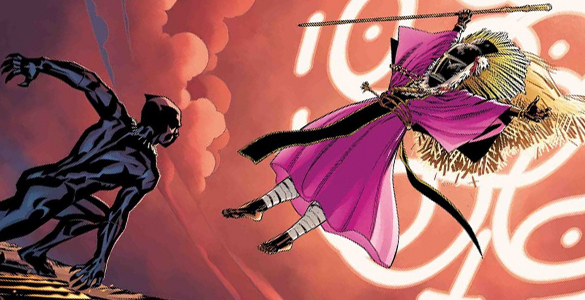 Black Panther 170 is by all measures a climactic issue. 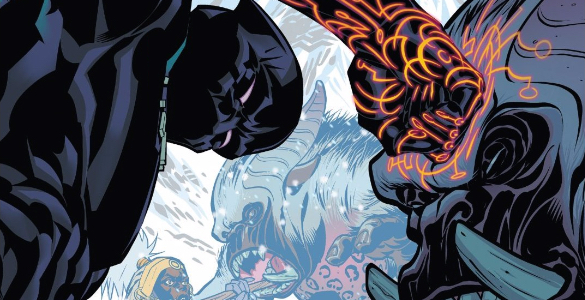 Indeed, with so many of T’Challa’s villains and allies joining the fray, the bulk of the issue has a decidedly “Battle of the Five Armies” feel to it, which artist Leonard Kirk captures in all of its chaotic glory. 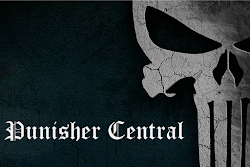 The king who is situated anywhere immediately on the circumference of the conqueror’s territory is termed the enemy. The king who is likewise situated close to the enemy, but separated from the conqueror only by the enemy, is termed the friend (of the conqueror). Today, Drew and Ryan D. are discussing Black Panther 11, originally released February 22nd, 2017. As always, this article contains SPOILERS. 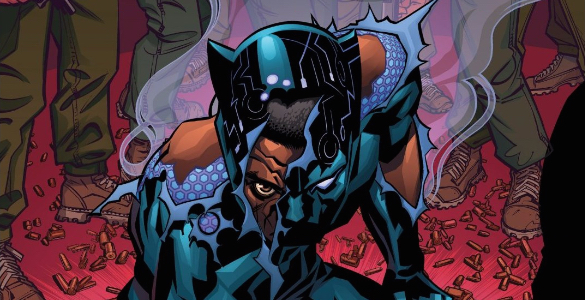 Today, Ryan D. and Patrick are discussing Black Panther: World of Wakanda 1, originally released November 9th, 2016. As always, this article contains SPOILERS. Ryan D: Max Landis wised me up to “narrative potential” in a video from a while ago, but ever since then I can’t help but notice when a topic just screams with possibilities. This is the gift which is being presented to the collaborators of the new series Black Panther:World of Wakanda. Spinning directly off of Ta’Nehisi Coates’s current, ambitious run with the titular character, this series promises to flesh out the vibrant, complicated African nation in a way that will supplement the overarching story being told. While Wakanda may be the world’s most developed and advanced society — at once reaching forward as a progressive power-house and at the same time sitting comfortably in its heritage — it is also a nation recoiling from siege and tragedy. The opening chapter of World of Wakanda shows us two different glimpses into the prelude which lead to the current Wakanda read in the comics, one of a particular volatility, and thus far I think one of these two narrative paths is a much more gratifying path to follow. Today, Ryan D. and Drew are discussing Black Panther 6, originally released September 14th, 2016. As always, this article contains SPOILERS.